Thanks Fuquay Varina Elementary School Girls on the Run! Girls from the Fuquay Varina Elementary School “Girls on the Run” program sponsored a Pet Food drive and collected over 200 items for the Fuquay Varina Emergency Food Pantry. 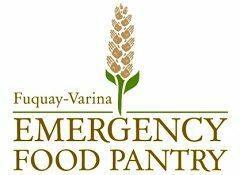 Support Fuquay Varina Emergency Food Pantry.